A senator from Northern Ireland has put pressure on Dublin to demonstrate to the Kingsmills massacre families that there is “no hierarchy of victims” and finally cooperate with their legacy inquest after five years of requests. Senator Ian Marshall, who lives only six miles from the site of the south Armagh atrocity, called on Irish Justice Minister Charlie Flanagan to provide an update on a proposed bill to allow Garda to cooperate with legacy inquests in Northern Ireland. Minister, where is this bill, why have there been delays and when can this house expect to see the advancement of this bill? Ten Protestant workmen were murdered by an IRA gang as they travelled home from work near Kingsmills in south Armagh in 1976. The gang responsible used the Republic as a safe haven. The ongoing inquest into the atrocity has been appealing for files and Garda witnesses from Dublin authorities for five years. He noted that at the Kingsmills inquest on Friday it was raised that Dublin had given assurances that a bill allowing the coroner to travel south to quiz Gardai would be progressed in September 2018. “Unfortunately, there appears to be little or no advancement of this,” he said. He also noted that some of the families had lost hope, partly as a result of “the apparent lack of appetite for Dublin to move the bill on”, and a concern that any further written questions to Dublin would prove a distraction from progressing the bill. Next-of-kin from other inquests and inquiries such as Bloody Sunday, Ballymurphy and the Birmingham pub bombings “feel completely abandoned,” he said. He pressed Mr Flanagan to assure the Kingsmills families that “no stone will be left unturned” to help them. And he noted that the Northern Ireland Office had failed to present a witness to their inquest on suspects with ‘On The Run’ letters, despite being asked in February. “Furthermore, I appeal to the inquest for Kingsmills in Belfast to release names of the suspects in this case,” he said. If there’s “any degree of humanity or compassion” in those people responsible for this atrocity they should also release names of suspects as the IRA did recently for the Birmingham bombs inquest, he said. This would also take suspicion away from those “mistakenly labelled as perpetrators”. 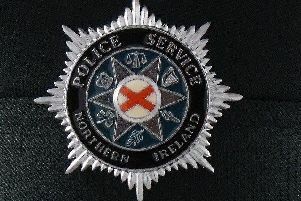 The Irish Department of Justice said: “While a number of issues were listed as continuing by the coroner, mostly outside of the control of the Irish government, a considerable amount of legal work has been undertaken on the Criminal Justice (International Co-operation) Bill to ensure that, once enacted, it will deliver on the Irish government’s commitments on further cooperation with the legacy inquests in Northern Ireland. “The drafting is at a very advanced stage and publication of the Bill is expected before the Oireachtas summer recess. “On the basis of previous experience with North-South related legislation before the Oireachtas, it is expected that this bill will progress swiftly through the legislative process.